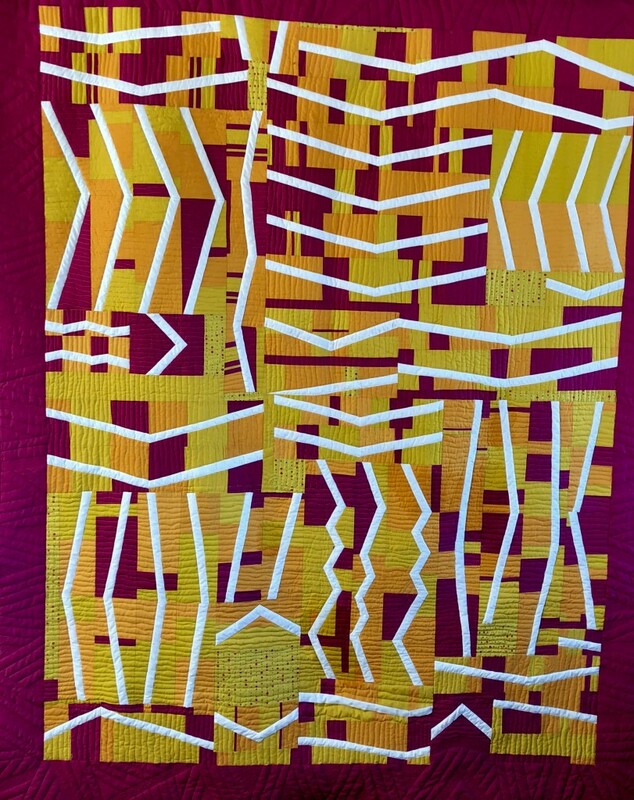 Sewing Circles are groups of guild members who pursue shared interests by meeting regularly, sewing together, critiquing one another’s work, visiting galleries, going on shop hops, making charity quilts, and more. 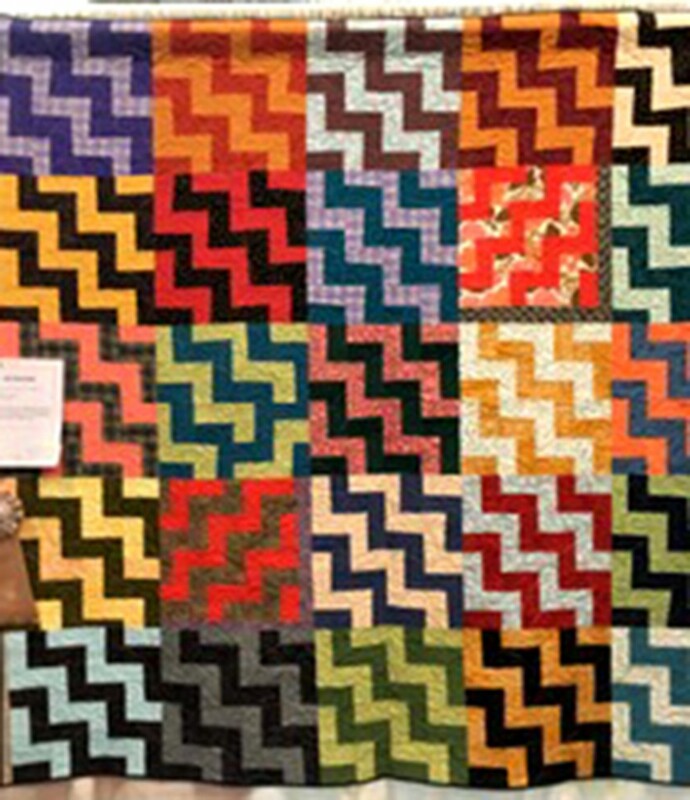 They include Bee Modern, whose members share an interest in modern quilts. 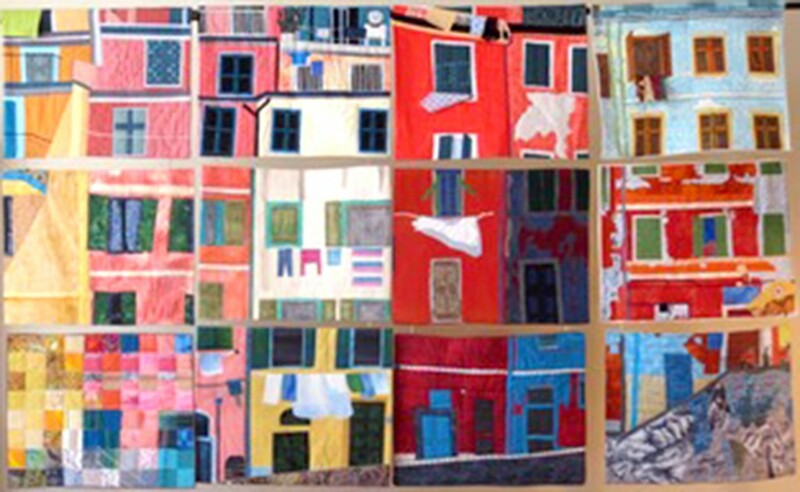 As its name suggests, English Paper Piecing focuses on a particular technique. The Wednesday Whimsicals have evolved into sewing friends who meet occasionally. And the Easy Piecers just enjoy relaxed, quilty get-togethers. 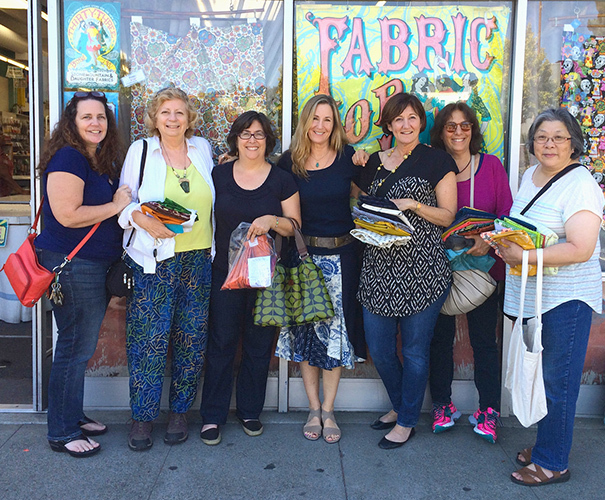 You may also want to consider the long-running sewing class at San Francisco City College taught by SFQG founder Caroline Lieberman: in addition to sewing lessons, participants enjoy technique demonstrations, optional group projects, Show and Tell and much camaraderie. Her classes can be found in CCSF’s Older Adults program but all ages are accepted. Here’s a link. 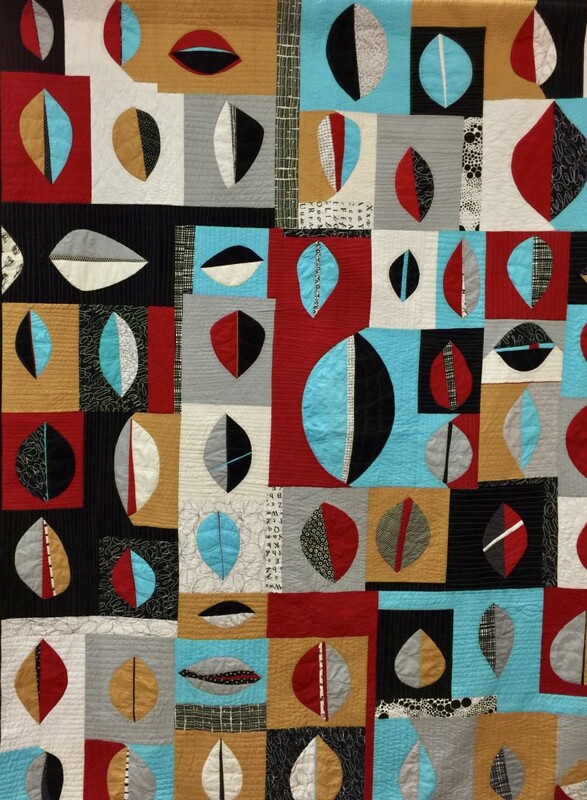 The first two quilts above left, Faultlines and Re-Leaf, were charity-quilt collaborations for QuiltCon 2018 and 2016 by Bee Modern. 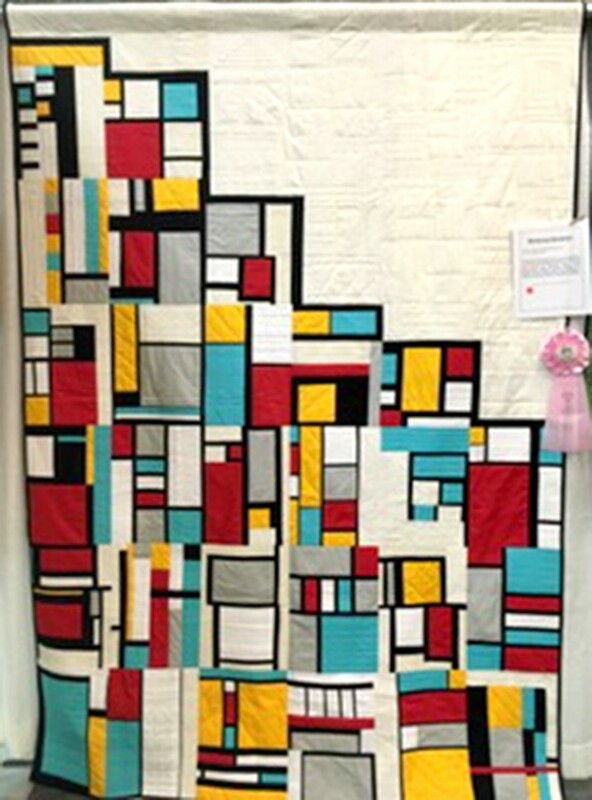 The Wednesday Whimsicals made the others: Mondrian (also a QuiltCon 2016 charity collaboration), The Block and (de)Escalate.